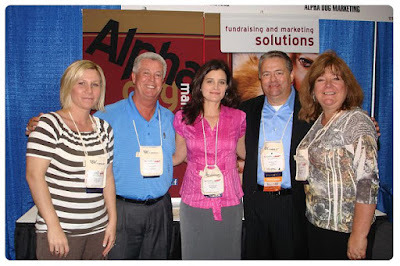 This fine group attended the HSUS Animal Care Expo in Nashville in mid May. Despite some flooding problems in the area leading up to the event, the whole event was a happy success! And look! behind these fine folks are the new display banners we are using at all our Humane and Foodbank shows...the creative department did a knockout job! Do you have photos of the Expo? Want to share? Email them to me and I may post them here or on our Facebook page!